At NW Electricians Today, we understand what an important part of your life your home's electrical system is, which is why we constantly strive to provide you with high quality electrical repairs, maintenance, and installations. Our goal is to help you keep your home as comfortable and secure as possible, and at every job that we work, we keep that goal in mind. We'll work to ensure that your electrical system is always completely functional and totally safe so that you and your family can enjoy your home in complete comfort and security at all times. All of our Seattle electricians are licensed, trained, and experienced, so we can always guarantee that you'll be working with a professional you can trust. No matter how small or large the job is, we'll always be ready and eager to tackle it, and we won't consider a job complete until you're completely satisfied with all of the work. Whether you need basic electrical troubleshooting or a complete rewiring of your home's electrical system, you can always depend on the professional electricians in Seattle at NW Electricians Today. At any job, we'll always strive to complete the work quickly, but we'll never let speed interfere with the quality of our work. We are also available 24/7 for any emergency repairs you may need. Got electrical problems in the Seattle or NW Washington area? When you encounter problems with your electrical system, it can be a major interruption to your daily life. And often, these problems are more than just inconvenient—they can be a serious threat to the safety of you and your family. Whether you have a flickering light in your kitchen or you're experiencing power outages on a regular basis, our professional Seattle Electricians can help you determine the exact cause of the problem, then we can make sure your home's electrical system is in the best condition possible. The most important part of your home's electrical system is its wiring. Every part of your electrical system in Seattle depends on your wiring in order to function correctly, and in order for anything electrical in your home to work safely, your wiring needs to be in excellent condition. According to the National Fire Protection Association, faulty wiring is the number one cause of electrical fires in the United States, so making sure that your wiring is in excellent condition is a huge priority. Our professional electricians can rewire aluminum wiring, or any wiring that has fallen into bad condition. If you're unsure of whether or not your home's wiring is safe, our professionals can provide you with an electrical safety inspection. We also recommend that you have a safety inspection performed any time a home is being bought or sold, or prepared to be rented. Most people think that an electrical safety inspection is only useful before buying or selling a home. However, it should be an important part of keeping your home safe for the coming years. Electrical safety inspections should be done at minimum once every ten years or five years if renting out the property. Also, have one done whenever you suspect there is a problem with the wiring or breaker tripping. As we demand more and more power from older electrical systems, they need to be upgraded to keep up with the demand. 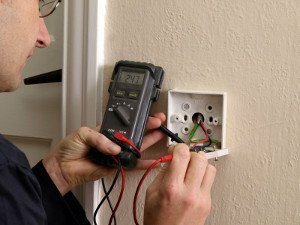 An electrical inspection will assess the current condition of the entire electrical system and also document any necessary repairs or upgrades. Call NW Electricians Today for an electrical safety inspection in Seattle. Are you ready to have a standby home generator installed? There's no better time like the present to be prepared for an outage. A backup generator is important to keep lights on, but they can also provide power for the entire home if you so wish. 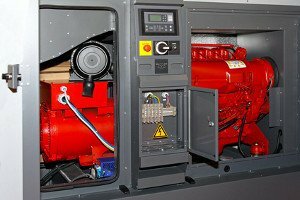 There are many sizes and types of generators you can install. You can install generators that run for however long it takes power to come back on whether it's hours or weeks. There are seamless models that turn on and off automatically during an outage. Let us know what things you want to keep powered during a blackout and we'll help you choose the right generator for your home. Our Seattle electricians can also help you repair and maintain your home generators. A safe and secure property after dark is important. Security lighting enhances your home security. A well-lit front and back entryway helps you see who wants to enter your home. Appropriate light fixtures can be installed on darkened landscapes to increase visibility. Today, a security lighting installation can involve tying into your home's smart security alarm system. Be safe and secure after dark by making sure you have sufficient security lights in place. Changing old light fixtures to LED lighting is one great way to improve your home's energy efficiency. Homeowners in Seattle are discovering how great LED actually works. Today, LED lights give you the same illumination power as you have always had. Plus, you get great options in color and wireless control. As technologies advance, don't be left behind putting up with old flood lights, porch lights, and security lights that hog power. Call us and ask about LED lighting retrofit instead. If your home isn't lighted sufficiently, you've probably found yourself frustrated when trying to see something clearly. Good lighting is important for safety and security. Lighting also plays a role in aesthetics. Lighting can enhance the architectural style of your home, showcase a favorite art piece, create a little drama in the bedroom, and be placed in key areas to reflect the subtle shine of beautiful woodwork. 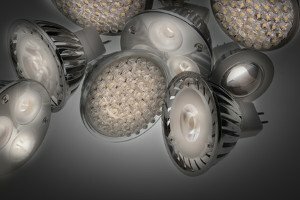 If your home lacks good lighting, we can help you with the installation. Illuminating the outside of your home is just as important as lighting the inside. 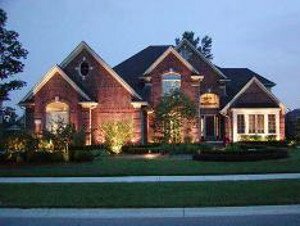 The choices you make in landscape lighting around walkways and driveways will affect the security and value of your home. Perhaps you have been meaning to add some additional lighting to your landscape but you’re just not sure what kind you need or how to add the light. 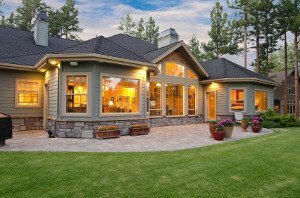 Our professional electricians at NW Electricians Today have a few suggestions for your landscape lighting in Seattle and will handle the installation for you. NW Electricians Today loves to install pool lighting for families. 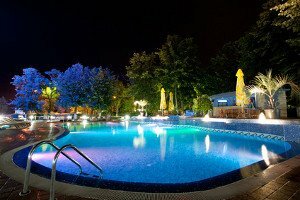 There's nothing that makes the water more beautiful at night than good pool lighting. If you haven't seen the new LED lights for swimming pools that can rotate colors on a program, you need to check them out. You can have these installed or any type of lights you desire. Call us for your pool lighting needs today. We can install them in your pool or anywhere around. Imagine how great your pool will look this year! Why Hire Us For Your Northwest Washington Electrical Problems? NW Electricians Today has a dedication to professional workmanship and the best customer service possible. Our Seattle electricians are always knowledgeable of the most up-to-date methods and techniques, and they are continually trained to use the most advanced equipment available. We have worked in a wide variety of different residential and commercial environments, and we have the real world experience it takes to tackle any and every job. Our goal is your complete satisfaction, and we'll do whatever it takes to achieve that. We know that your electrical system is a hugely important part of your life, so we'll do whatever it takes to ensure that it's in the best condition possible. We can provide you with any number of repairs, installations, maintenance services, or any other services you may need for your electrical system, and we'll always ensure that our work is in complete compliance with local codes and standards. In this day and age, it is hard to imagine not living without electricity. Almost every important everyday task is made possible in some way by electricity. As such, electricity is often a ubiquitous afterthought. However, because it is so powerful, all Seattle homeowners must remain mindful of electricity. You have an obligation to ensure that your electrical system is properly maintained. Keeping your Seattle home's electrical system in excellent condition is important in part because you use electricity for so many different things on a daily basis. But it's also important that you know your electrical system is always as safe as possible. According to the National Fire Protection Association, nearly 50,000 fires caused by an electrical problem are reported to the U.S. Fire Department every year. If you are looking for an expert Seattle Electrician then please call NW Electricians Today 206-782-1837 or complete our online request form.